It's been a remarkably hot and dry start to 2019 in many areas of NSW, with some areas breaking records. 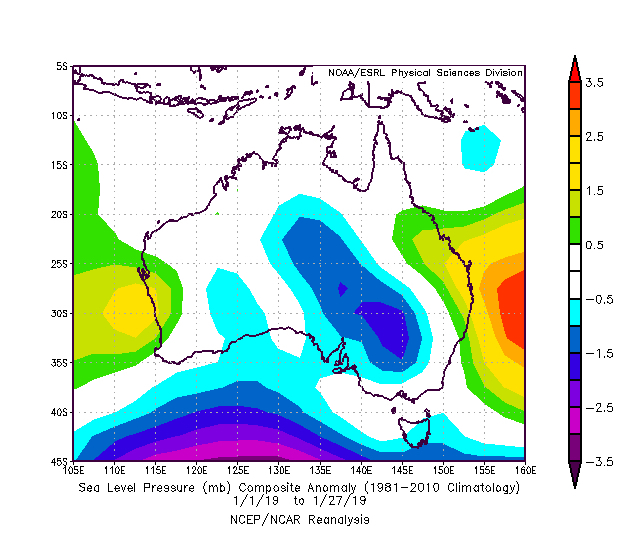 A near-stationary high pressure system over the Tasman Sea and a persistent low pressure trough over central and southeastern Australia caused a run of notably hot and dry weather in NSW during January. The heat saw a number of all-time records broken for individual sites, the state and Australia as a whole. A relatively new weather station at Noona in northwestern NSW set a new state minimum temperature record on Friday, January 18th, when the mercury only dropped to a low of 35.9 degrees. This short-lived record was re-broken when Borrona Downs registered an overnight minimum temperature of 36.6 degrees on Saturday, January 26th. This was also the highest minimum temperature on record for Australia as a whole. Monthly average minimum and maximum temperatures were up to seven degrees above the long-term average in some parts of NSW during January. As of 9am on Wednesday, Cobar's average maximum temperature was 41.5 degrees and its average minimum temperature was 26.9 degrees. These are six and seven degrees above average respectively, and both new records for the site. A lack of rain-bearing systems and seasonal thunderstorm activity left many parts of the state running well below their January rainfall averages. Large areas of northern and western NSW received less than 20 per cent of their average rainfall during January. Parts of the far northeast received nearly no rainfall at all during what is typically one of the region's wettest months of the year. As of 9am on Wednesday, Yamba had only received 2mm of rain throughout the month, making this their driest January in more than 140 years of records. Tabulam's 0.6mm of rain during the same period is its lowest January total in records dating back to 1970. Unfortunately, these hot and dry conditions have exacerbated the drought in some parts of the state. However, not everywhere missed out on the rain. Bathurst's 154.5mm of rain to 9am on Wednesday is more than double their long-term average for January and makes this their wettest start to a year since 1984. 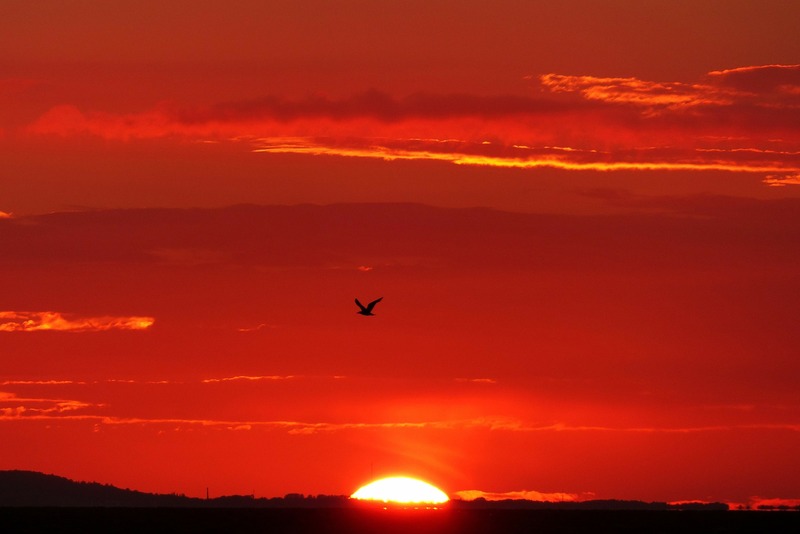 Canberra is on track to set new minimum and maximum temperature records this month. Based on current forecasts, the mean minimum temperature for January should come in at 17.6 degrees and the average maximum should be 34.5 degrees. These are four and six degrees above the long-term averages, respectively. Sydney's 48.8mm of rain to 9am on Wednesday is less than half of the city's January monthly average, but it's more than last January's 37.8mm. This month's average minimum temperature should come in at 21.7 degrees and the maximum should be 29.5 degrees, based on the current forecasts. This is three degrees above the long-term average for both values. It's also a new high minimum temperature record and the equal second highest maximum temperature on record for the city.